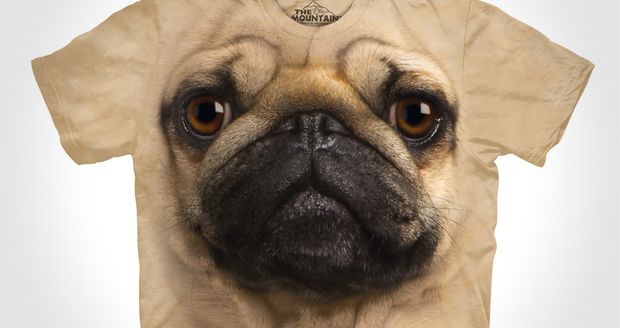 These big face t-shirts are brilliant! Look how big his face is! It's massive! That pug has a huge face!